Do you have a patio or gazebo in your backyard? Do you spend a lot of time outside? Would you like to have some source of power for your electronics or other items when you’re sitting outdoors? 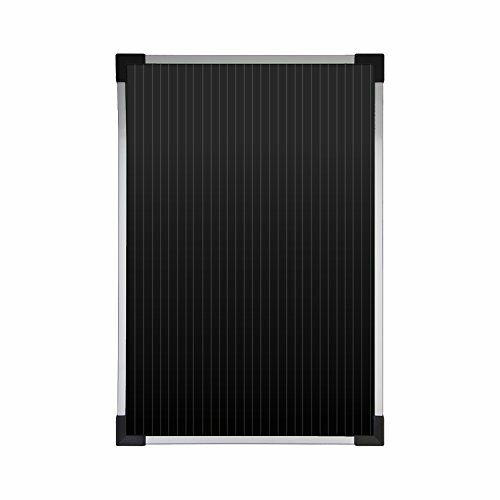 If so, check out our Coleman solar panels review listed below! In this article, we’ll introduce you to five options you have when you’re looking for a small solar panel for powering your devices when you’re outdoors. All of these panels come from the Coleman company, which is dedicated to providing quality outdoor products for its customers. You won’t run out of power for your phone or other devices outdoors. You can sit outside and take care of work (or hobbies) while enjoying the fresh air and not worrying about charging issues. You’ll have a backup solution for your devices if you should lose power in your home for any reason. Of course, there are many other great reasons why you may want to put up a small solar panel outside on your patio or gazebo, so consider what you need out of your solar panel and decide whether or not one of the products below is right for your needs. If you’re looking to keep your vehicle battery charged and ready for use, check out the Sunforce 58012 Coleman 2 Watt Battery Maintainer. This product includes a 12 volt DC plug and battery clamps for use with a vehicle. You can use it with other products that contain a 12 volt battery as well without any cause for concern. The panel is lightweight and easy to install just about anywhere. The product is durable and doesn’t get broken easily. 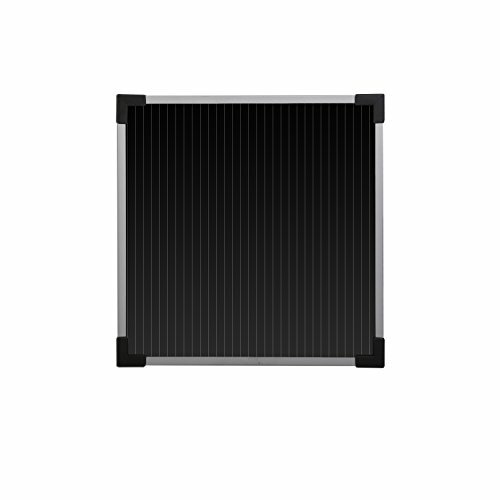 This is not a very powerful solar panel. There is no indicator to let you know if this panel is charged or not. 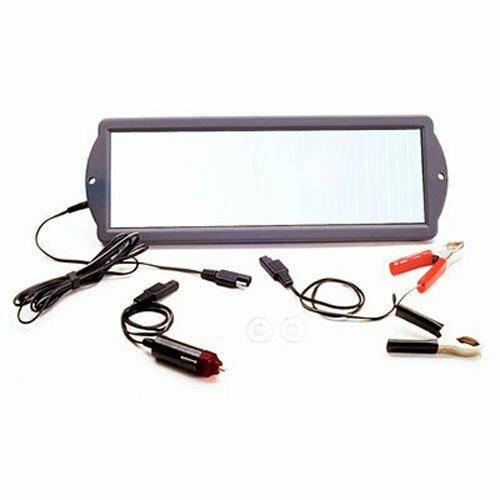 Set up the Sunforce 6 Watt Coleman Solar Panel for use as a trickle charger for all sorts of different vehicles. This panel comes with hardware needed to install it and a 12V DC plug for easy use. This product works well to keep a vehicle battery charged when it isn’t in regular use, due to its trickling design. This is a great lightweight product that many people like to take along on motorcycle trips. The panel has been known to malfunction and stop working in a few months. The included cable may not be long enough for use in some situations. With the Coleman 58025 10W Amorphous Solar Panel, you can charge a 12V DC battery with only the sun’s rays. This panel comes with a 12V plug as well as battery clamps and the hardware required to mount it to your gazebo, patio, or any other sunny outdoor space you may want to use. The product works well for most types of vehicles whether they are used regularly or not. This is a lightweight but very durable solar panel product that can hold up to being used out in the inclement weather with no trouble. This product is only for use with 12V batteries and vehicle batteries. Rarely, this panel may arrive broken, but the company will work with you to replace it if this should happen to you. 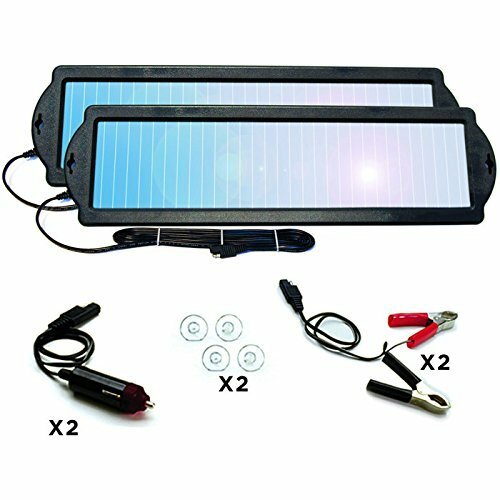 Stock up on this two-pack of Coleman Solar 12 Volt Battery Maintainers to get everything you need out of your mini solar panels. This set comes with two separate panels and suction cups for mounting them as needed. It also includes battery clamps and two DC plugs so you can set these panels up and get started using them in no time. It’s easy to set up these panels and get plenty of power out of them. The batteries included have a built-in overcharge protection mechanism to shut off the charge if the battery is getting too much. This product is designed for use with vehicles and may not always be safe for use with other items, so be sure to do your research before you use these panels for anything other than the indicated purpose. There is no display included with this kit, so if you’re looking for specifics, you’ll need to buy some separate items to help monitor this. Choose the Coleman CL-3600 Solar Backup Power Kit to charge several batteries in one go whether you’re outside in your backyard or on a camping trip. This set includes a weatherproof panel that’s safe for use outside no matter what the weather may be doing. The panel comes well-packaged and includes everything needed to set it up and start using it right away. The product comes with a charge controller and power inverter. Some customers dislike the limited display on this product and would prefer if it told them their voltage or amps rather than just specifying that the product is charging or is charged. Rarely, this product may arrive broken or damaged during storage or shipping. Did you find a small solar panel that will work well for your needs? Remember that these are “mini” panels that may not be suited for long-term or high-wattage use, but they can be the perfect choice for certain settings—including on your gazebo or in your backyard. If you’re looking for a more powerful solar panel, however, you may want to look into other options. Make sure you’re well aware of the power available from any of the above listed products before you make your final purchasing decision. Remember, too, that you should always buy solar panels—whether small or large—from a trusted company. With the Coleman brand, you can be sure you’re getting a durable and long-lasting product that meets or exceeds the standards set in place by this popular company. Coleman has been providing customers with backyard and camping equipment and goods for many years and continues to be a great company to purchase products from. Whether you choose to go with one of the above options or pick a solar panel from a different company, make sure you’re buying from a brand name that is committed to product excellence and customer satisfaction. You’ll be on your way to a better outdoor experience in no time!